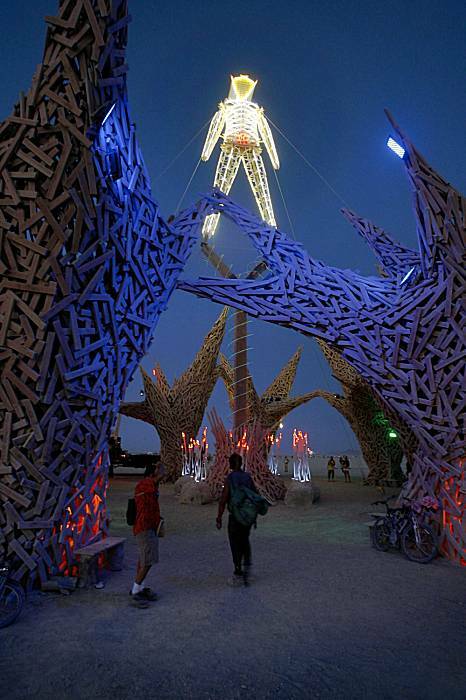 Burning Man is an annual event held in the Black Rock Desert, in Northern Nevada. It takes its name from the ritual burning of a large wooden effigy on Saturday evening. The event is described by many participants as an experiment in community, radical self-expression, and radical self-reliance. 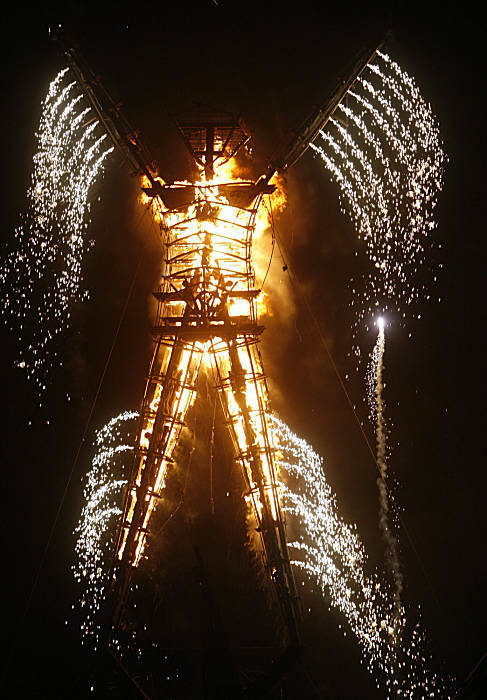 The annual event now known as Burning Man began as a bonfire ritual on the summer solstice in 1986 when Larry Harvey, Jerry James, and a few friends met on Baker Beach in San Francisco and burned an 9-foot (2.7-meter) wooden man as well as a smaller wooden dog. 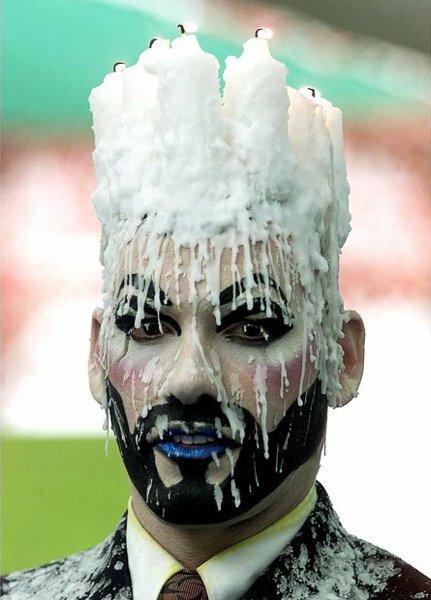 Harvey has described his inspiration for burning these effigy figures as a spontaneous act of radical self-expression. The event did have earlier roots, though. Sculptor Mary Grauberger, a friend of Harvey's girlfriend Janet Lohr, held solstice bonfire gatherings on Baker Beach for several years prior to 1986, some of which Harvey attended. When Grauberger stopped organizing it, Harvey "picked up the torch and ran with it," so to speak. He and Jerry James built an 8-foot (2.4-meter) wooden effigy for 1986, which was much smaller and more crudely made than the neon lit figure featured in the current ritual. In 1987, the effigy grew to almost 15 feet (4.6 meters) tall, and by 1988 it had grown to around 40 feet (12 meters). 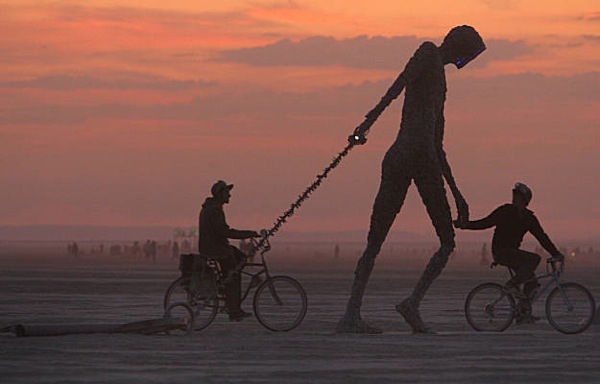 See more 2009 Burning Man Festival photos! Burning Life is the Second Life version of a real Art, Fire and Community festival called Burning Man. 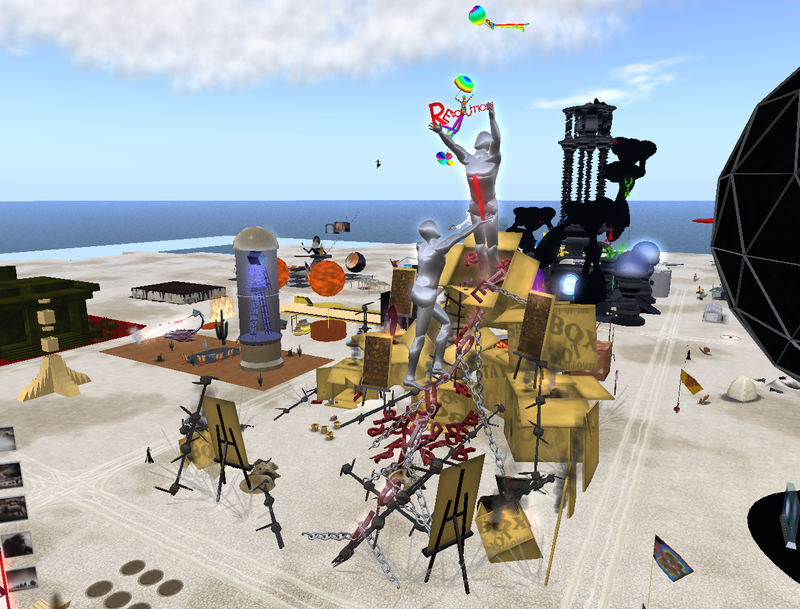 Both Burning Man and Second Life began in San Francisco, California, USA, on planet Earth. 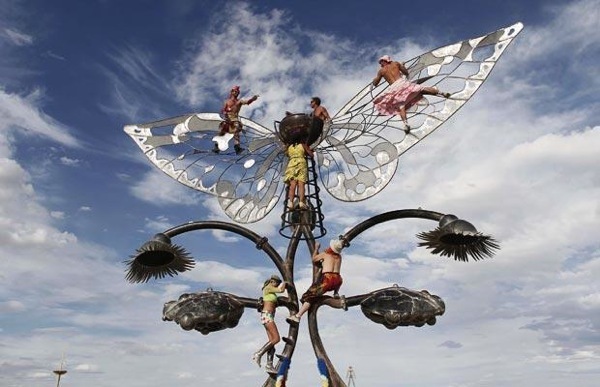 In 1999, Philip Linden went to Burning Man, and came back with new ideas for the virtual world he was planning. Among them was the idea that humans abhor a blank canvas and will compulsively create form to fill void. They will provide their own content and entertainment and create a whole city (or world) when they are given permission and tools to do so. Humans will naturally form community when physical and emotional conditions are harsh and they are wrenched out of their usual comfort zone. Humans are resourceful. 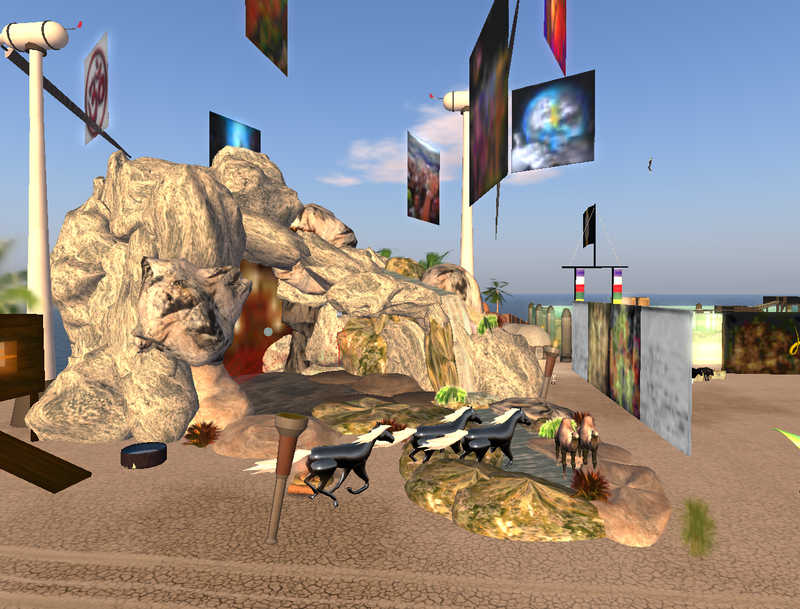 The fewer the tools that are available, the more creative and amusing are their solutions to problems of food, shelter, transportation, art, leisure and identity.—From Burning Life, Second Life. 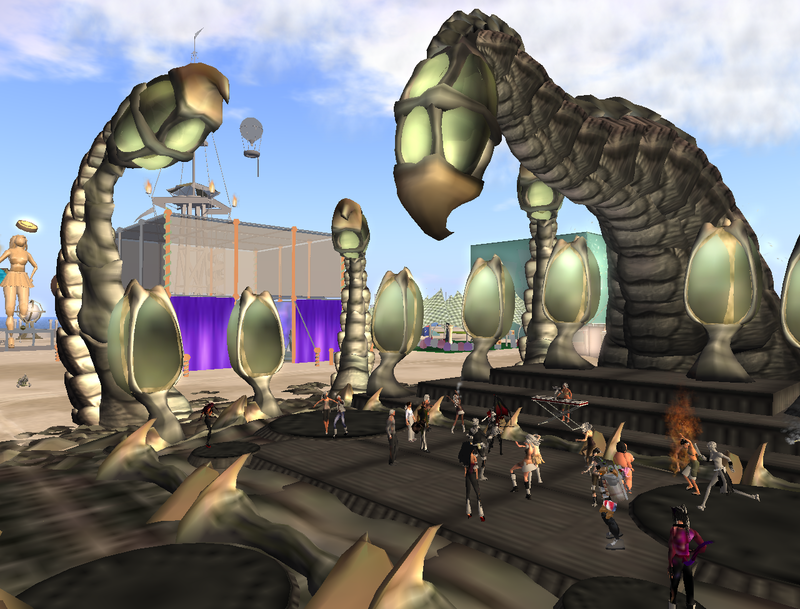 This Second Life event start from noon Oct. 17th, 2009 to Oct. 25th, 2009. 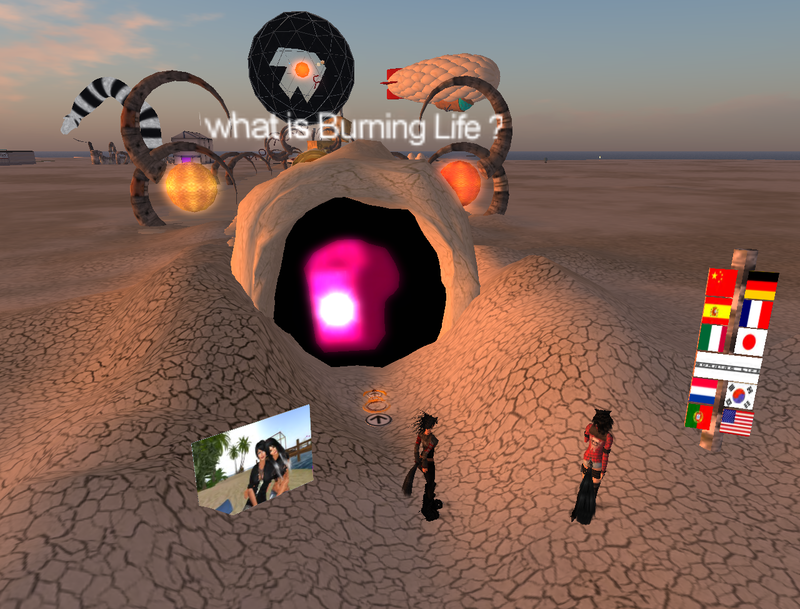 If you are not able to join the real life “Burning Man,” don’t miss the chance to see the Burning Life in SL!